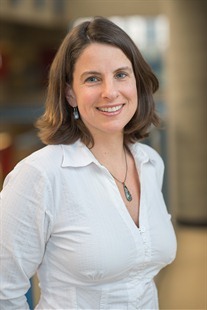 Toni Schmader is a Canada Research Chair in Social Psychology at the University of British Columbia. She received her B.A. from Washington & Jefferson College in Pennsylvania before completing her Ph.D. at the University of California, Santa Barbara. Before moving to Canada in 2009, she taught at the University of Arizona for 10 years. At UBC, she was awarded the Killam Prize for excellence in research, and at the U of A she received the Magellan Prize for excellence in teaching. She is currently a member of the executive committee of the Society for Personality and Social Psychology and an Associate Editor at the Journal of Personality and Social Psychology. She was drawn to research in social psychology for its ability to take a systematic empirical approach to examining important social issues and to teaching for the opportunity to share those insights with others. Her research examines how individuals are affected by and cope with tarnished identities and negative stereotypes. She has published work on topics of social identity threat, stigma and identity, stereotyping and prejudice, self-conscious emotion, and gender roles.